As a parent raising two veg kids I am always a little skeptical when I come across books recommending food. You just never know what you will get. But I have two athletic children (and a very athletic vegetarian husband) and was interested in seeing what Feeding the Young Athlete had to offer. The book is written in nice and easy terms and has a good layout that makes it appealing to the reader. It does offer some good information regarding being hydrated, making homemade sports drinks, and some snacks. But there are also a lot of messages in there that vegetarian and vegan parents may want to avoid sending to their young athletes. Overall, this is not an ideal book for the vegetarian or vegan child. 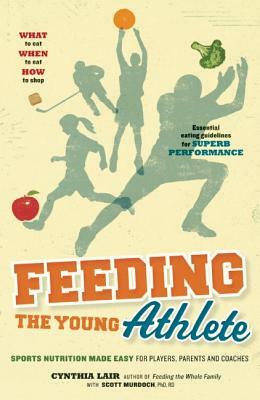 The message is tipped in favor of eating animals in order to feed the young athlete. Thanks for this review! I have a young, veg athlete and like the idea of homemade sports drinks and good snack ideas but know from experience that we do not need animal protein to be active.